There is nothing more satisfying than cooking with great knives. It was only a matter of time before Le Creuset satisfied more of our cooking needs, by filling our kitchen tool boxes with quality and beautiful knives. Crafted with a beautiful and durable Italian Olivewood handle, the raw shape is cut out from the wood and then shaped into its final shape by the handle maker. 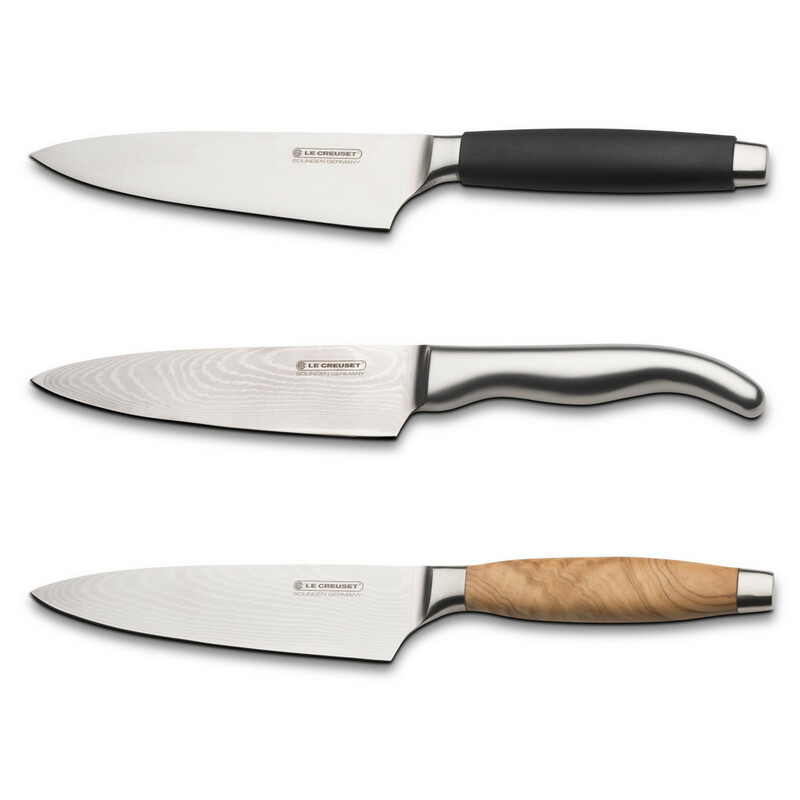 As it is a natural, grown material, every wooden knife handle looks different and is unique. These knives have a multi-layer Damascus steel forged around a VG-10 steel core. There is also the option of stainless steel or black plastic handles, which use a premium high carbon Stainless Steel Alloy.